Dow Chemical agreed to pay $835 million to settle a class action lawsuit after determining the death of Supreme Court Justice Antonin Scalia made victory less likely. The payment is less than the $1.06 billion a court in Kansas ordered it to pay in 2013. Dow Chemical was hoping the Supreme Court would overturn the ruling, but the death of Justice Antonin Scalia left it evenly split between conservatives and liberals. A split decision in the Supreme Court reverts to the lower court’s ruling. Dow Chemical said in a statement that it settled because of the “increased likelihood for unfavorable outcomes”. The company said it still believed the original verdict was “fundamentally flawed,” but felt settling was in the best interest of shareholders. 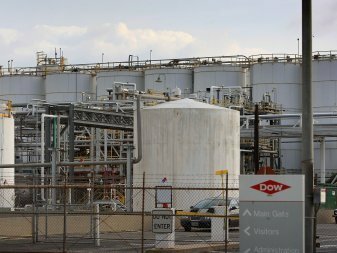 In 2015, Dow Chemical announced plans to merge with competitor DuPont in a $130 billion deal.